Ischgl is situated just south of the St Anton ski resort close to the border to Switzerland; so close to the border that the resort extends across it and into the valley of Samnaun, so you have the tough choice deciding between lunch in Austria or Switzerland! Samnaun is a duty free area, so if you want to fill up your drinks cabinet or the latest fondue gadgets, this is the place. With over 200km of slopes and 42 lifts Ischgl offers one of the largest variety of slopes for any level and style of skier, or boarder, to satisfy their passion. If you’re new to the sport or just want to improve your style we will also be organising group ski/snowboard lessons, please contact the TC for more information. Around 16.30 most people are going to be making their way down the mountain. At the end of the lift and the piste you can find the 'Kuhstall‘ for Great Après Skiing!!! If you want Oompa Oompa music this is it, more modern Music in 'Fire and Ice' opposite. After a considerable amount of Glühwein / Willis we take the bus back to the hotel for dinner. If you want to head back into town after dinner you can take a taxi (not expensive). We will again be staying in the Hotel Mallaun in the small town of See just outside Ischgl (http://www.hotel-mallaun.at). Every morning, except Sunday, our bus takes us to the lift. For the even later risers / party-goers there is also the regular ski bus, covered by our ski passes. The bus will leave EUMETSAT at 15:45 and from ESOC at 16:00 on Thursday the 7th of March. 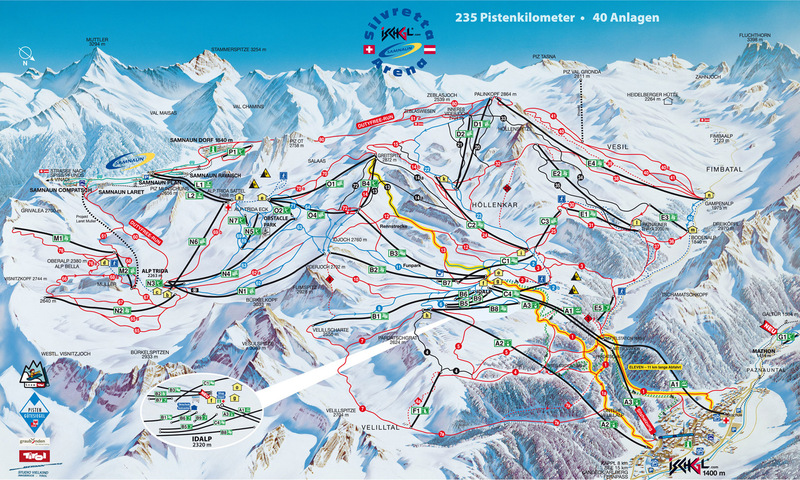 We will arrive in Ischgl late on Thursday night. On Friday, Saturday and Sunday we ski, leaving the slopes around 16:00 and arriving back in Darmstadt late on Sunday night. Trip price per person : EUR 335 / 380 (Internal / External members) Includes Bus transfer, 3-Day Ski Pass, 3 nights Bed, Breakfast and 2 Dinners. Please contact Martin Hermes for any more information.